Attendees: Red Cross volunteers and employees. Registration: Is closed. We're sold out. You will have a choice between two tickets: NCCR Disaster Training Institute Commuter or NCCR Disaster Training Institute Overnighter. Tickets are good for up to three days of training, depending on your course selections. Overnight tickets are $45 and includes three meals on Friday, Saturday, and two meals on Sunday. A $25 Commuter ticket includes lunch and also can include dinner if you reserve it. This will be a paperless event. We will not be printing course materials – everything will be provided to you electronically before the event. You will be asked in the registration process if you have a device (i.e. laptop, tablet, Kindle, etc.) you can bring with you. If you want paper copies of your course materials, you will need to print those and bring them with you. - You may want to bring an extra blanket, sleeping bag, or pillow (basic linens and towels are included). - Toiletries, shower shoes, and bath caddy. - Flashlight or headlamp for navigating paths in the early morning or evening. We have lodging available Friday and Saturday night. We will be staying at the camp. The lodging includes double occupancy rooms with shared bathrooms in lodge or cabin style accommodations and bunk style dormitories with 2-5 person occupancy rooms and a central shared bathroom in each dormitory. Some rooms have bunk beds, please make sure to verify your bunk request when you register. 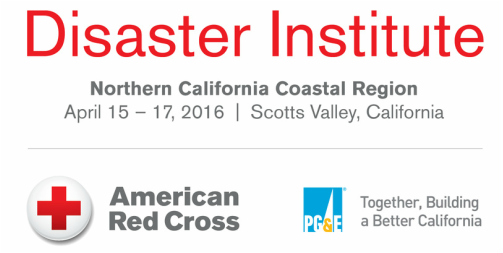 Please email registration at nccrdcstraining@redcross.org and use the subject line "Housing" for lodging inquires. ﻿Below you will find the schedule of each day’s classes. If you are interested in finding out more about a course and its requirements, click on the Course Catalog on the right. If you need help picking out courses, you are welcome to talk to your Disaster Program Manager or contact our NCCR Institute "career counselor" who can help you decide which track you should take based on your experience and interests. Please email our team at nccrdcstraining@redcross.org and use the subject line "Institute Career Counseling."